Hi all keen cyclists, this could be for you and the boys might like to encourage the women in their lives to have a go … the Southern Lakes Tour de Femme. Southland Paralympic team-mates Phillipa Gray and Laura Thompson look primed to deliver on their potential in London, says New Zealand coach Brendon Cameron. James Hargest College's Jeremy Presbury has one eye on next year's junior world track championships. Cycling Southland is already looking at hosting future major events after the junior world track championships in Invercargill. The five-day championships saw New Zealand equalling the 10 medals it won in Moscow last year, with seven silver and three bronzes. Dynamic Russian sprinter Daria Shmeleva finished the UCI Juniors Track World Championships as she started, with a world record at Invercargill, New Zealand today. The 18 year old Shmeleva claimed her fourth gold medal of the championships breaking the world record she set at the recent European Championships by 0.1s. Colombia’s Fernando Gaviria Rendon recovered from two crashes on the first night to dominate the men’s omnium on the third day of finals at the UCI Juniors Track Cycling World Championships in Invercargill, New Zealand. 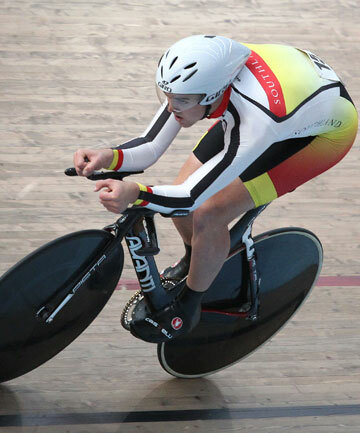 The 18-year-old finished third in the individual pursuit, fourth in the scratch race and third in the 1000m time trial to claim a popular victory. A brave attack on the opening lap led to victory for Belarus rider Anton Muzychkin in the men’s scratch race on the second night of finals at the UCI Juniors Track Cycling World Championships in Invercargill, New Zealand tonight (local time). The action both on and off the track is fantastic and Robyn Jordan is among the many capturing the moments. 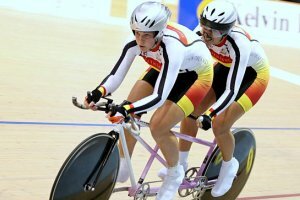 Four world records were broken on an exciting opening night of the 2012 UCI Juniors Track Cycling World Championships in Invercargill, New Zealand tonight (local time). It was the first time in juniors world history that four world records have been broken on a single night. This past weekend we had our Cycling Southland Junior Camp at Borland Lodge in Fiordland – and what an awesome weekend it was!! Olympic spots for Rio 2016 could be the reward for the best young kiwi cyclists competing in next week’s UCI Juniors Track World Championships in Invercargill. Following hard on success in the London Olympics, BikeNZ will be looking to bolster its ranks as they begin the road to Rio. If you are unable to make it to Invercargill to watch the 2012 UCI Juniors Track World Championships never fear, help is at hand. A big night of racing on Tuesday 14 Augsut capped off the Tuesday Racing for seniors prior to the Junior Worlds Track Champsionships. After almost ending up as part of the Belgian team pursuit - our junior racers enjoyed an hour of fast and furious racing last night. Cycling Southland's Tom Scully is on the verge of the Pro Tour after earning a stagiare contract with top team Garmin Sharp Barracuda. We are very happy to shortly be welcoming Rosey Acker, who is completing a Bachelor of Sports Coaching through the University of Canterbury, to the Deep South as she completes an internship with Cycling Southland.